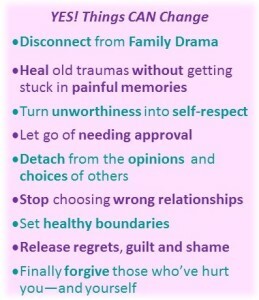 Do the same kinds of problems, dramas and hurt feelings keep showing up in your life? Do you keep trying to make changes, but nothing works? Does it seem like everyone but you gets what they want? There's a reason. There's an unknown part of you that's calling the shots in your life. Even though you may consciously know better--and try really hard to do differently--old energetic patterns, trapped emotions and forgotten promises keep you stuck in the past. But they don't have to. Why Can’t You Change It? You know better--you do--and yet you stay hooked to a habit, person or situation you know isn't good for you. Why? You're not missing the "let it go" gene. You're simply operating with a secret agenda that your conscious self isn't aware of. Logic has nothing to do with it. You can't fix what you can't see and you can't talk yourself out of your feelings. You must uncover and clear the unconscious patterns and karmic ties keeping you stuck. The complex problems in your life may have simple explanations--and simple solutions. Awareness is the key. I'll help you tap into a higher part of yourself to heal and find peace in ways just talking can't. We'll work on all levels of mind, body and soul to find and clear hidden blocks so you can live the life you truly love. If you’ve been trying and trying to make changes in your life, but nothing seems to be working, there’s a reason. And it’s probably something you’d never even suspect—something so far from your conscious awareness that you’d never even consider it as the problem. But this hidden culprit is causing more frustration, trouble and heartache in your life than you’d ever imagine. It’s the reason that no matter how different a situation seems at first, you still wind up slamming headfirst into the same old walls and roadblocks. It’s the reason you get out of one unpleasant situation only to find yourself in another. It’s the reason you keep hanging on to toxic relationships that twist you in knots and drown you in drama and fear. It’s the reason you feel unfulfilled. It’s the reason you don’t have peace. It doesn’t have to be that way! I can help! With every fiber of your being you know there is more for you to do, share, experience and be, yet you feel guilty for even thinking about it. How dare put yourself first—even in your thoughts! That’s part of the unconscious trap you’ve been lured into! And you won’t ever get out of it until you realize what’s keeping you a willing captive–what’s creating your own traps, obstacles and patterns of self-sabotage. You can have peace, fulfillment and joy. You can live with purpose and passion. You can be happy! Many of us, especially women, have been trained to put the needs of everyone else first, because that’s what “good” girls and boys do. To do anything else is selfish and makes you a “bad” person, so we suppressed our dreams and our soul’s callings and denied our own intuition. We pushed aside our authentic self and became who we were told we should be. Now, it’s time to change all that. It’s time to dump those old shoulds, limiting beliefs and negative patterns. It’s time to identify and clear the trapped emotions, karmic ties and spiritual disconnects that have created the real world roadblocks holding you back. 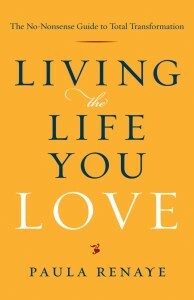 It’s time to start living the way you want to, to be happy and fulfilled! And to do that, we have to uncover the unique ways these unconscious and unseen energies and frequencies are at play in your life. The most powerful discovery of my life was understanding that we must address all aspects of SELF—the mental, emotional, physical and spiritual—for true healing to occur and things to change in our lives. In fact, I’ve discovered that far more progress is made through spiritual and energetic work than traditional coaching techniques. Why? Because you can’t logic yourself out of a belief system or pattern of behavior that you don’t even realize you have. Lurking beneath the surface of your mind’s logic and intelligence are powerful forces that are running your life without your conscious approval. So, the first thing we’ll do is start bringing the trapped emotions and forgotten promises and beliefs to the surface. And once they’ve been brought up into the light, they lose their power over you. We’ll use intuitive coaching, energetic balancing and releasing along with spiritual counseling and higher realm communication to provide access to awareness, insight and healing that one approach alone can’t. And, you’ll be empowered with your own set of real-world self-care tools that you can use to continue stepping up into your highest potential, purpose and passion. 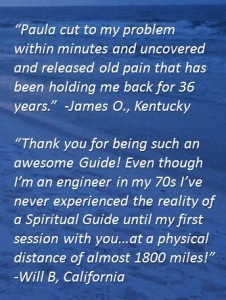 This is about you and your unique journey of healing, so we’ll use the spiritual and energetic processes and coaching techniques that are the best fit for you. Your body tells you when things aren’t right–listen! If you feel it, it’s time to deal with it. Okay, but how do you deal with it? Well, to start with you forget about all those “just let it go” messages. If it were that easy, none of us what be holding on to anything. Just gritting your teeth and soldiering on may work for some, but for many it just suppresses the real issues even more. Taking a different approach–using techniques that science has now caught up with–makes things so much easier. Get relief that lasts a lifetime! We’ll use a variety of powerful tools and techniques to help you release old negative emotions, unconscious self-limitations, karmic ties, inner child wounds and unseen blocks. We’ll clear these at the deepest spiritual and energetic levels, as well as from your physical body. This transformation is available to you too. So what are you waiting for? Send me a message right now and we’ll set up a time for a FREE INTRODUCTORY CONSULTATION to see how you can start ridding yourself of the obstacles and challenges that are holding you back. So, if you could wave a magic wand, what feelings and experiences would you clear out of your life right now? We’ll home in on the issues at the root cause of your challenges and shift the energy to start flowing good into your life. My mission–my passion–is helping you heal so your beautiful true self can shine through, so you can radiate peace and joy to others and so you can live the full expression of what your soul came here to do! Don’t stay stuck in the same old patterns, wishing and hoping something will change. 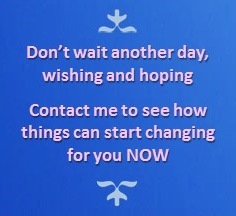 Contact me and start living into the change–into your joy–NOW! NOTE: No psychological or medical services are provided or implied.